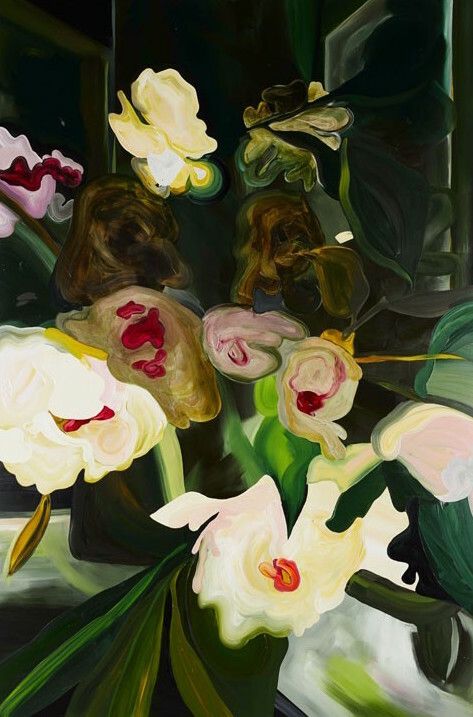 The paintings of Clare Woods (b. 1972, Southampton, UK) are essentially concerned with sculpting an image in paint, and expressing the strangeness of an object. Originally trained as a sculptor, much of Woods’ work is an exploration of physical form. This understanding of sculptural language and a preoccupation with forms in space, translated into two-dimensional images, underpins her pictorial practice. In much of her previous work, Woods’ concern with landscape has been paramount. 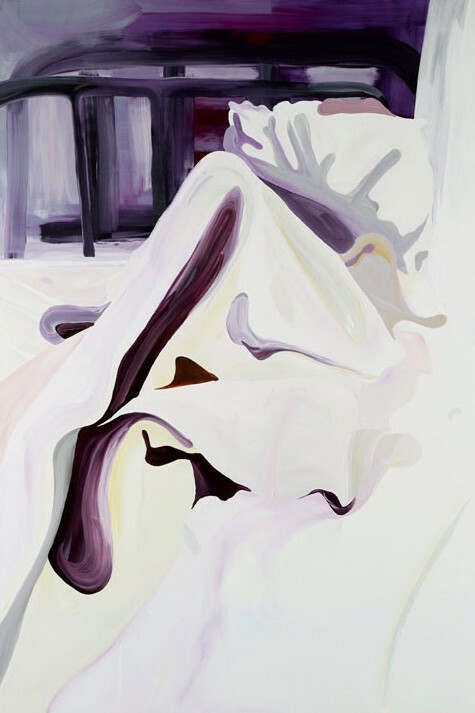 However, since 2011 her images have been increasingly preoccupied with conveying the human form. Allied to this change in subject-matter, which has affected her way of working, is a shift in the process of sourcing imagery. 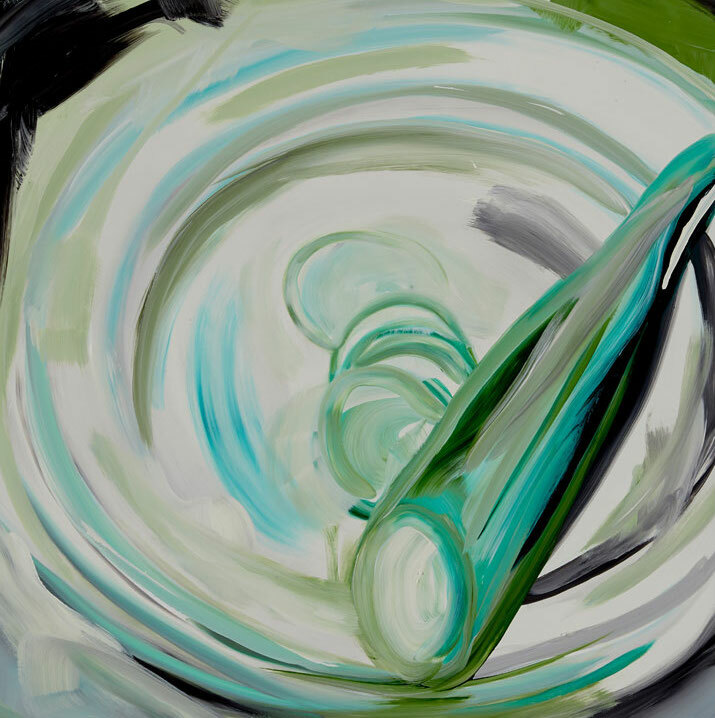 In her new paintings the source material is no longer the artist’s own landscape photography, but instead she draws inspiration from found sources: books, the internet, photographic records of work by other artists and press photographs, especially those shot in black and white. Much of Wood’s recent work is concerned with fragility, vulnerability, mortality and disability; the delicate border that exists between sickness and health, cruelty and humanity, and ultimately life and death. Perhaps this explains why bodies come to mind even when the images are not directly about them. 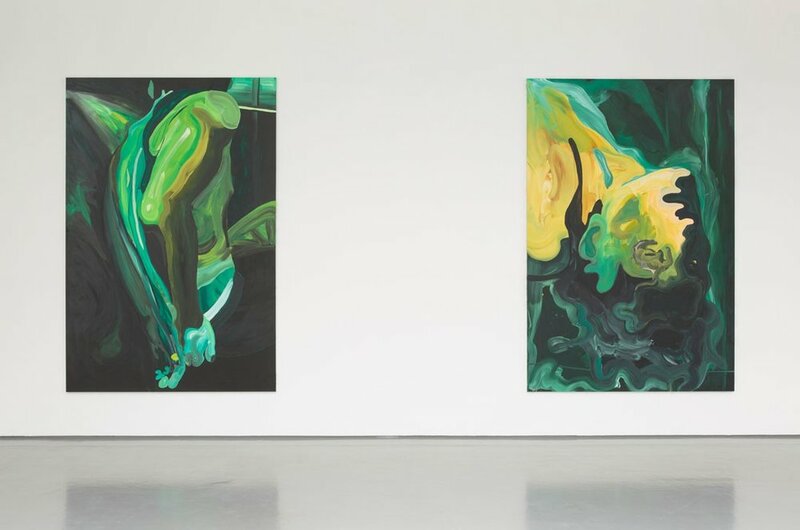 Despite the varying degrees of brightly coloured abstraction and compositional distortions, Woods’ anthropomorphic studies bring to mind heads, limbs and torsos. It is like seeing the body through a distorted lens, defamiliarising and estranging it.